Termion is a pure Rust, bindless library for low-level handling, manipulating and reading information about terminals. This provides a full-featured alternative to Termbox. Termion aims to be simple and yet expressive. It is bindless, meaning that it is not a front-end to some other library (e.g., ncurses or termbox), but a standalone library directly talking to the TTY. Termion is quite convenient, due to its complete coverage of essential TTY features, providing one consistent API. Termion is rather low-level containing only abstraction aligned with what actually happens behind the scenes. For something more high-level, refer to inquirer-rs, which uses Termion as backend. Termion generates escapes and API calls for the user. This makes it a whole lot cleaner to use escapes. Supports Redox, Mac OS X, BSD, and Linux (or, in general, ANSI terminals). This sample table gives an idea of how to go about converting to the new major version of Termion. Special keys events (modifiers, special keys, etc.). Detailed documentation on every item. See examples/, and the documentation, which can be rendered using cargo doc. 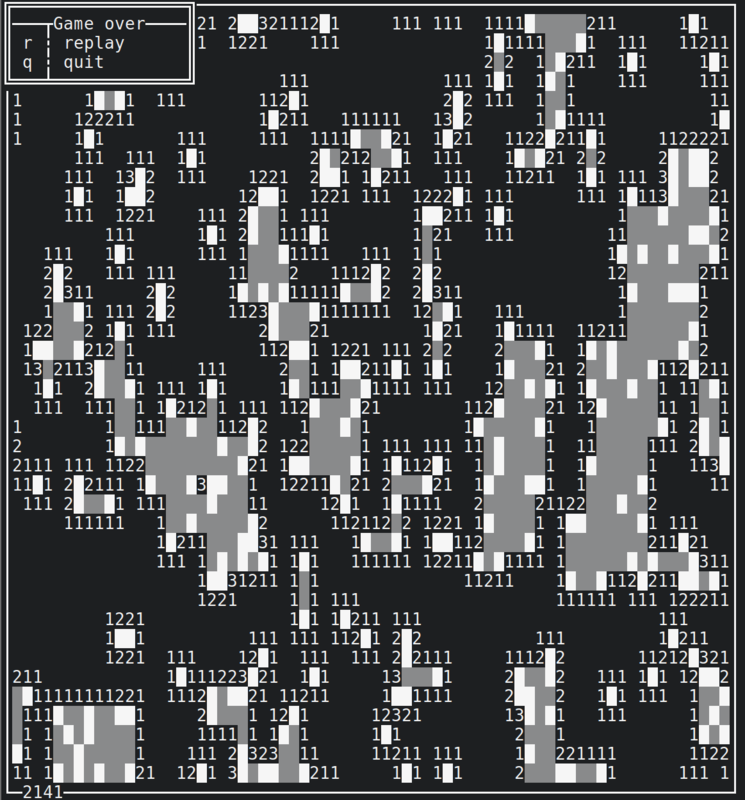 For a more complete example, see a minesweeper implementation, that I made for Redox using termion.